For many years quilters had to go through the painstaking process of sewing their creations using a traditional sewing machine. This involved working in a tight space, trying to maneuver a large piece, or stack, of fabric. There is no question that the long arm sewing machine makes the joy of quilting even more joyous. 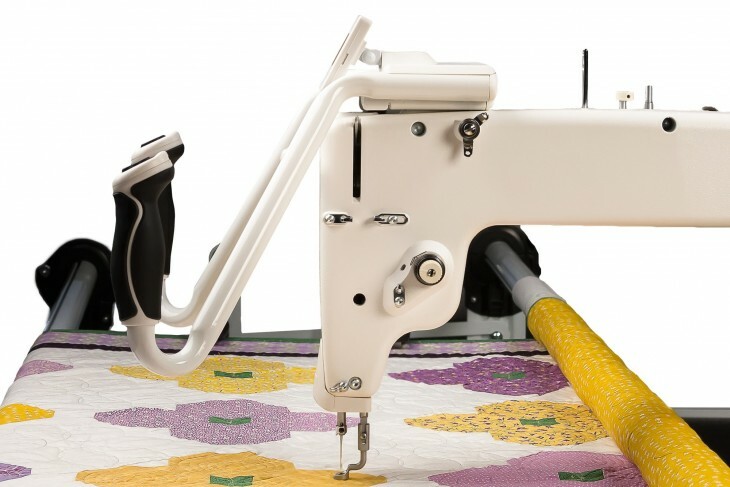 If you are looking for affordable long arm quilting machines, there are a few very important questions to ask to ensure you end up with the best model. 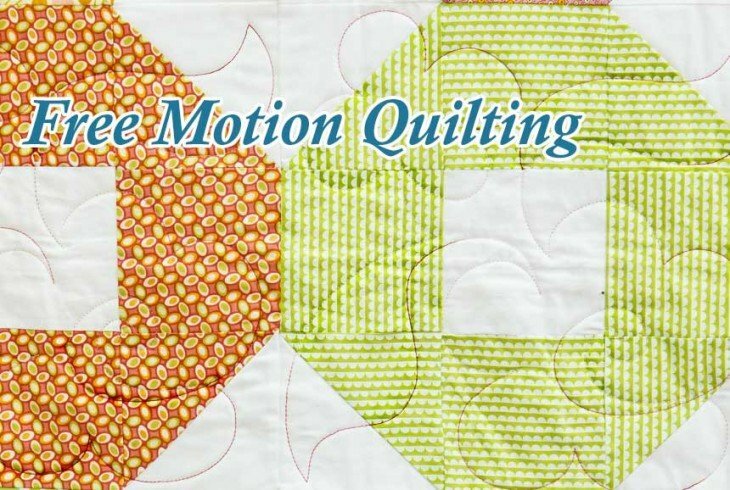 How much quilting space does the machine offer? The quilting space and throat space are not equal. Make sure to ask about available quilting space. When you consider investing into one of the affordable long arm quilting machines, remember the bigger is not always the best. The most fitting quilting space is always a comfortable distance for both reach and sight. The recommended distance, for the most comfortable controlled quilting, is from a 12-inch to a 14-inch reach. Does the machine run smoothly at both high and low speeds? How much does the machine weigh? A machine that is too heavy will cause stress on neck, arms, and back. Test any machine for five minutes or longer to get a sense of what several hours of quilting might feel like. A comfortable weight is usually 65 pounds or less. An excess of vibration can bring about intemperate noise and poor line quality. Where is the machine manufactured and is there a trusted warranty? If it is important to you that your quilting machine is produced in the United States, then ask the question. A trusted warranty for electrical, mechanical and the outer casting issues you a guarantee of grade A craftsmanship when investing in a quilting machine. Trustworthy companies will stand behind their product and provide a written warranty. They will also provide you convenient customer support services. Does the frame system require constant adjustment as you roll your quilt? Making acclamations to your knitting surface, by either bringing down or raising your quilt edge to give a level surface on which to join, every time you move your blanket, it turns out to be extremely badly designed and amazingly prolonged. An optional 24-inch Super Leader replaces the 18-inch leader and eliminates the need to reach across the frame to attach the backing. 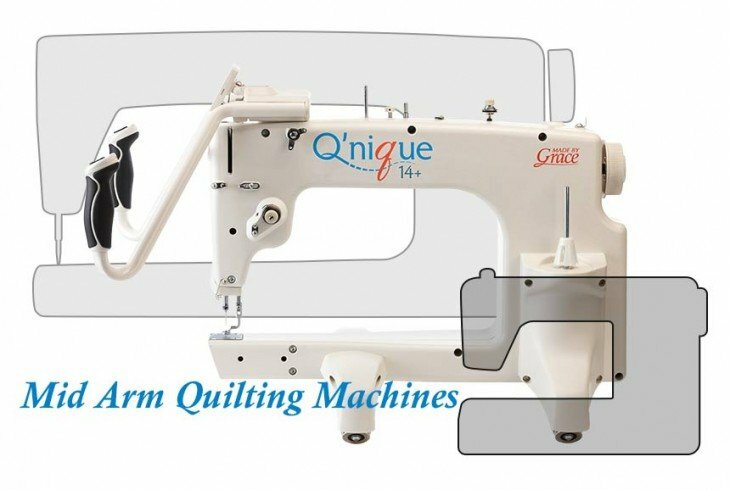 By asking the right questions when shopping for affordable long arm quilting machines, you know you will get the features that you need in the end. Keep this handy guide with you as you shop, and always ask about any sewing machine feature you are unsure about.